Handsome Tours and Astral People are excited to announce that Masego will be travelling to Australia and New Zealand for performances in Sydney and Melbourne, alongside appearances Laneway Festival, Jan- Feb 2019. Masego is a saxophone player, a singer, a rapper, a comedian, a DJ – a singular talent and surprising presence in the musical fabric right now. He cites the 1930s Harlem big band leader and singer Cab Calloway as a guiding spirit, was mentored by DJ Jazzy Jeff, and puts an unabashedly sultry-smooth spin on the R&B, hip hop and dance music that he and his contemporaries like Chance The Rapper, SZA, Goldlink and Smino are making. 2018 is proving to be Masego’s break-out year as he makes his official full-length album debut ‘Lady Lady’, the culmination of years of hard work, crossing the globe multiple times, and refining his distinctive craft. 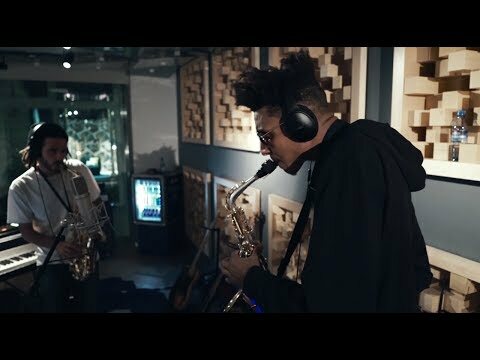 Don’t miss the multi-talented Masego perform with his live band in Australia in 2019!